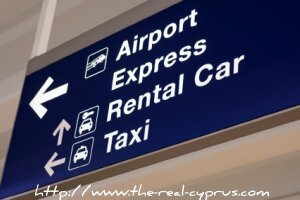 Cyprus Taxi reservations are perfect if you want to know before you go that your chariot awaits when you get of the plane and you are too tired to care about anything. Whether you are a family travelling with children who don't want the inconvenience of using a hire car or a bus transfer, or you are travelling with more luggage than you can carry or you are simply an individual who would like a stress free start to your visit in Cyprus. Whatever is important to you when you travel, we are now able to provide you with a great private transfer service direct to your holiday destination. No need to worry about new currencies or over charges, you never pay your drivers cash because you've already paid! It's a great way to start any visit in a new country. Pre book your private airport or port transfer online, at a very competitive rate, and start to enjoy your visit from the moment you step off the plane. You've booked your hotel, you've booked your flights, now book your Cyprus transfer online today!! Well, there is benefit 1 right there already... book early so you know you have got transport. Secondly, you will pay in your own currency, so you know what the price is. Thirdly, you don't really want to be running round the airport at 3 am with tired and hungry children, and a grumpy other half searching for a taxi, do you? How lovely, just to leave with your bags and there is someone standing there with a sign with YOUR name on it. And it will be even worse if you want to hire a car, the paperwork, the messing about, the passport lost at the bottom of your bag, the searching for the number plate on a car you don't recognise, in a strange dark car park. when all you want to do is get into bed. Comfort, ease and no hassle, that is what you want, don't you agree? Cyprus taxi reservations are able to offer a round trip from an arrival at either Paphos or Larnaca or a single trip from Paphos or Larnaca to the North. They are not able to pick up from ERCAN only and deliver you to your destination for your holidays in north cyprus. You would need to book a taxi firm in the north for that. You can get organised from the Republic because the drivers know you are coming and can organise the relevant legal paperwork for entry into the North from the south.